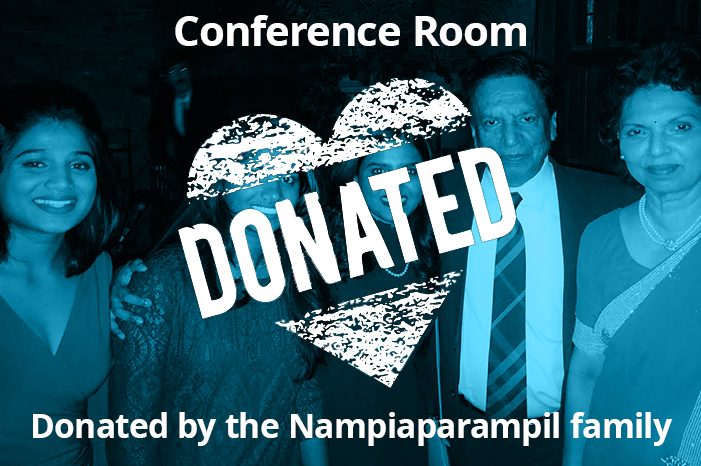 This conference room was donated in honor of Joseph and Mary Nampiaparampil. Joseph and Mary have visited Shanti Bhavan and witnessed the miracles taking place there. They saw first-hand the sacrifices Dr. Abraham George, his wife Mariam, and his children Ajit and Vivek made during the financial crisis of 2008 to save the school. Joseph and Mary wanted to lend a helping hand to the noble tasks of the freeing the poor from otherwise inevitable servitude and ushering in an era of class equality.